Your last will and testament is the most fundamentally important document you can have in place prior to your death. A will allows you to clearly define how you want your property distributed when you pass away. If you die without a will, formally referred to as dying intestate, your property will be distributed to family members according to Texas statute. Wills are also frequently used to name guardians for your children, and for other considerations. The preparation of a will is an important first step in estate planning and ensuring that your wishes are known so your assets pass to the people of your choosing. I have helped countless clients draft sound, well-considered wills ranging from general distributions to named beneficiaries to very specific distributions of assets. I understand how overwhelming it can be when you first start thinking about preparing a will. I will take the time to learn about your family background, your beneficiaries, the property that will need to be distributed, your goals and your concerns. I will walk you through the entire process and work with you to draft a will that makes your wishes known. I also represent clients in will contests. I pride myself on drafting wills that limit the possibility of challenges. 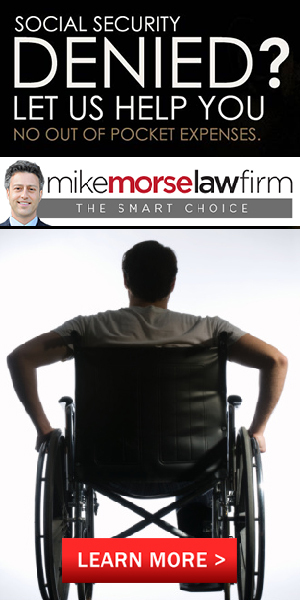 There is always the possibility, however, that a family member or other party may seek to challenge a will. If you are the executor of the estate and need legal representation, I will present the strongest possible case on your behalf. Property division can be one of the most contentious areas of a divorce proceeding. Texas is a community property state, which means that, with few exceptions, all property and debts acquired during the marriage are considered to be shared equally by both spouses. Property acquired by gift or inheritance and most personal injury awards, as well as property and debts held by either spouse prior to the marriage, are considered separate property. In many cases, one of the biggest challenges is trying to determine what is community property and what is separate property. There are times when one spouse used separate property funds to pay for home improvements or the other spouse’s education. This is called commingling and can be very difficult to sort out. Once community and separate property have been identified, the next step is to value and distribute the community property. At the Vern D. Richards Law Office in Frisco, I work diligently to see that my clients receive the best property division settlement available. As a community property state, Texas Law seeks to divide property in a fair and just manner, which is not necessarily 50/50. When you hire me as your lawyer, I will take the time to understand your goals and do everything I can to reach them. If there is a dispute over community or separate property, I will present the strongest possible argument to obtain a favorable result for you. I have access to valuation experts who can help to ensure that the correct value is assigned to each asset and work to reach a property division agreement that works for everyone. It is important for spouses to reach agreement in these matters whenever possible. If they don’t, a judge may eventually divide the property for you. It is always better for couples to reach some sort of agreement than to leave it all in the hands of the judge. If you have ever known someone who was being kept alive by life support, then you understand what a difficult situation it leaves the family members in. Everyone thinks he or she knows what the loved one would have wanted, and bitter arguments can beset the family at a time when all family members should be there to support one another. In order to prevent this type of situation in your family, you would be wise to have a living will in place. This document allows you to make your wishes known with regard to how you want your medical care handled in the event you become terminally ill or unable to make decisions for yourself. There are many important issues that need to be considered in the process of drafting a living will. At the Vern D. Richards Law Office in Frisco, Texas, I take the time to walk clients through the entire process and explain the implications of each directive in the document. I make sure that you have all the information you need to make a sound decision that truly represents your wishes. As your attorney, I will work with you to fully understand your wishes abut medical intervention and the extent of the extraordinary measures that should be taken to keep you alive. I will help you clearly define any lifesaving measures that you would like taken and at what point lifesaving measures should be stopped.